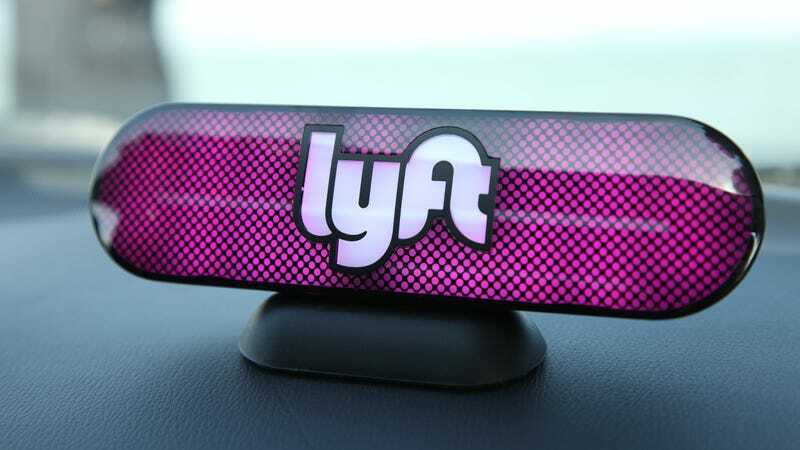 Lyft announced a pilot test in July that entailed giving 100 Chicago residents $550 for transit services, so long as they agree to give up their car for a month. Apparently Lyft’s pleased by the results, because on Wednesday, the startup announced it’s expanding the program to 35 cities across the U.S. This time around, Lyft wants to get around 2,000 people signed up, reports The Verge, from cities including New York, San Francisco, Boston, Washington D.C., and Detroit. Depending on the locale, residents can sign up for a chance to win anywhere from $455 to $550 in credit for various transit services, like Lyft’s shared-carpool rides, bike-share, bus, or subway passes. By the look of Lyft’s website, about 50 people will win the credit in each city. If you want to take Lyft President John Zimmer at his word, this is less of a marketing gimmick, he told The Verge, and more of an effort to goad people into considering life without a personal car. Of course, there’s some marketing appeal to giving away free transit dollars for a month, but the fact Lyft’s requirements to participate are so rail-thin, perhaps he’s being genuine. As we reported in July, the same rules apply to participate the expanded program: you’ll have to confirm you own a car to qualify, but Lyft’s not going to do anything to confirm whether or not participants actually give up their car. It’s an honor system effort. More details are available here, if you’re interested in giving it a shot.